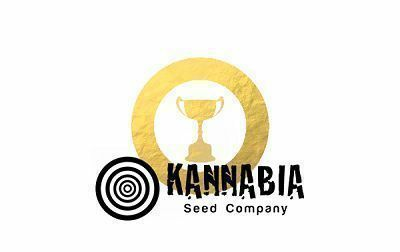 Kannabia is one of the first cannabis seed companies from Spain, and has been producing very high-quality cannabis seeds for many years. Kannabia seeds are a guarantee for a successful harvest and will never let you down. Their collection is so big that it contains a good choice for any professional grower, not to mention the beginner cultivator. The mix-packs Kannabia offers are highly recommended for growers that like a variety of quality plants in their garden. Swiss Dream Auto CBD has been bred specifically to offer monumental levels of CBD and minimal levels of THC. This allows consumers to access large doses of the therapeutic, non-psychoactive cannabinoid, without getting stoned in the process. Kritikal-K was released after a long development process that took more than 5 years. Kannabia had one goal in mind - to create a strain that would stand out from the crowd of available Critical varieties. Kritikal-K displays phenomenal homogeneity among phenotypes and is highly stable. Indoor yields peak at 650g/m² in a short flowering time of 55 days. Kiss is a fantastically smelling combination of Cheese and Afghan and will reward you with a deliciously tasting, potent stash. Get ready for an intense, long-lasting, and happy high when you enjoy this special lady. Cookies Haze by Kannabia is a formidable Haze that scores with sky-high THC levels and a mouthwatering candy aroma. The plant is very easy to grow and rewards growers with substantial yields come harvest! Super OG Kush is a well known indica-dominant strain thanks to her intense, stoning high. She's one to reach for when looking for some serious down time and relaxation. Gelato-K by Kannabia, the offspring of delicious Gelato and Bubba Kush, is sure making her parents proud, and not just because of her gorgeous looks that earned her the name “The Beautiful Girl”. The buds of this gorgeous sativa hybrid offer mouth-watering, sweet and fruity flavours, and will give you a powerful, yet nicely balanced effect that is as invigorating as it is relaxing. With Purple Kush, Kannabia gives us an awesome looking plant that can be a true jewel for any enthusiast cannabis grower. But Purple Kush doesn’t just look great. 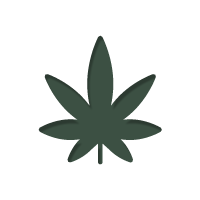 This Indica has a very pleasant herbal aroma and delivers a powerful, very relaxing high. Add the fact that she’s easy to grow and it’s really difficult not to recommend this fantastic Indica! Mataró Blue is producing so many crystals you might need to wear sunglasses when harvesting this baby. Kannabia didn’t name their new strain sativa-dream for nothing; this “super-sativa” makes for an awesomely fun, euphoric, and giggly high that’s great to enjoy with some friends! But she doesn’t just provide a silly good time. Sativa Dream also scores high with an amazingly sweet and fruity taste, and excellent resin production! Afrodite makes a very nice plant for hash production and is bred by crossing a Jack Herer with a Morrocan Sativa. Diesel Glue is a very rewarding threeway cross between a NY Diesel, an Afghani and a Black Domina. Big Band will treat you with a deliciously flavored smoke and relax you from head to toe. Gypsy Kush is an exotic local strain from Andalusia in Spain. Great strong plant with a very effective result! Big Bull is a super-easy-to-grow strain that will reward you generously. Kreamy Karamel is very easy to grow, fast flowering and will produce an amazingly large yield. What more do we want? La Blanca is a member of the 'White Family' that will reward you generously. Easy to grow and resulting in very nice and effective crops. La Reina de Africa combines the force of the AK-47 and the Northern Lights in a great strain that is easy to grow yourself. Skunk+ is the one Skunk you do not want to miss out on! The classic taste with a more powerful effect and bigger yields. Thai Fantasy is a very nice threeway between some very exotic strains and will reward you with a lot of delicious crop! White Domina is a beautiful and rewarding strain that will make any garden look good. Almost 100% Indica. Kannabia is one of Spain’s first and largest seedbanks, having developed master skills in cannabis breeding over the years. Don’t let their size intimidate you though, Kannabia is all about the grower, and use the feedback they receive to shape the future of both their company and cannabis seeds. Today, Kannabia have multiple facilities dedicated to cannabis breeding, refinement, and experimentation. It allows them to push their prowess as growers to all-new heights, as they continue to tinker and create exciting varieties of cannabis. This combination of listening to their customers and self-experimentation has led them to work in all avenues of the cannabis market, giving growers what they want. 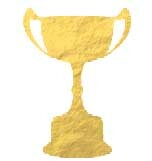 The result is a huge range of feminized, autoflowering, and CBD-rich cannabis strains, as well as a few award-winners for the trophy case. La Blanca – An easy to grow member of the “White” family with big yields, potent cannabinoid content, and a smooth, relaxing high. Mataró Blue – A highly resinous award-winning cannabis strain, Mataró Blue is one of Kannabia’s flagship strains. Combining Blueberry x Afghani x Black Domina, she is highly sought after for her unique flavour and floating high. 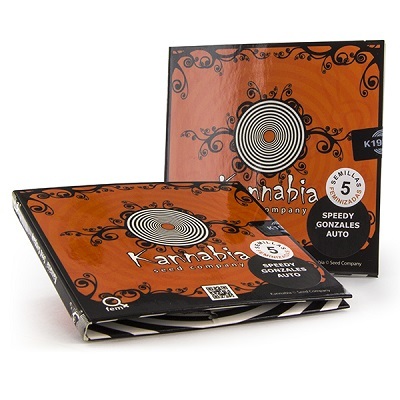 Karamelo – Karamelo is an indica well known for her rapid growth and mouth-watering flavour. She is a highly resilient strain, offering great versatility and generous yields. She has a pretty potent THC content to boot! Kannabia, one of Spain’s oldest seed banks, take great care with their packaging. All seeds are sent in a two-part container. Firstly, the seeds are housed in a sealed plastic enclosure on a disc clearly stating the strain name. This disc is then inserted into a cardboard sleeve, not too dissimilar to a cd case, and sealed again. The result is slim yet functional packaging ideal for sending people cannabis seeds in! Once the plastic enclosure in open, it cannot be resealed. As such, it is a good idea to line up some storage for your seeds if you do not intend to use them all at once. Kannabia cannabis seeds are available in quantities of 3, with feminized and autoflowering varieties on offer. As one of Kannabia’s most popular cannabis strains, Mataro Blue is a show stopper. She is the combination of Blueberry x Mazar-i-Sharif x Black Domina; the result is a hash producing powerhouse capable of yielding up to 600g/m² indoors, or 800g/plant outdoors. 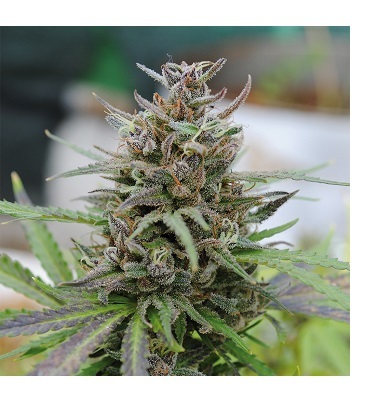 Mataro Blue has a flowering time of 58-65 days, and induces an uplifting, floaty mind and body high. Definitely one for the connoisseur! A true member of the “white” family of cannabis seeds, La Blanca is the combination of Great White Shark x Snow White x White Widow. Her powerful white dominance gives her a Skunky edge, boasting high THC and CBD content, as well as easy growth and fast flowering times. It makes her an excellent all-rounder suited to all levels of growing experience. La Blanca can produce up to 500g/m² indoors or 700g/plant outdoors; she flowers in 60 days indoors, or is ready by the end of September outdoors. Karamelo is a pure indica with well-rounded traits. She grows fast, is easy to manage, offers generous yields, and induces a potent, relaxing body stone. As the name suggests, she also has a succulent and sweet caramel flavour! In terms of growing traits, Karamelo flowers indoors in 50-55 days, producing up to 500g/m². Outdoors, she can produce up to 600g/plant by the end of September. Kannabia Special is a near 100% indica that has been bred with the beginner grower in mind. She is highly resilient to both novice error and mould, grows fast, is easy to manage, and can produce decent yields. She is the mix of Early Pearl x Skunk x Black Domina, resulting in bud with a subtle fruity flavour and uplifting cerebral buzz. Indoors, Kannabia Special can yield up to 450g/m² after 55-60 days flowering. Outdoors, she can produce up to 600g/plant, finishing around the end of September.